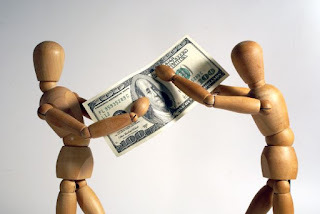 When a newlywed friend asked me about marital fights, I said money causes a lot of them. Unfortunately, I was able to give her a fresh example of what not to do. Here’s what happened: On a sunny afternoon, my hubby and I went to the garbage dump. Smile all you want, but getting out for a drive, even heading to the dump can be fun. Until now. Our truck was chock-full of partially odorous plastics, glass bottles, and paper to recycle along with a few bags of garbage to dump. It took just 10 minutes to put the recycle in the appropriate bins and dump the rest. After hubby paid the dump charges a “discussion” ensued. Hubby: Why should we make these recycling trips when we can have it picked up? Instead of paying for recycle pickup, I’ve always taken it to the recycling area for free. I actually enjoy this little chore, weird as that sounds. 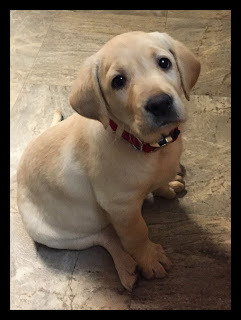 My son bought a cute little Labrador puppy just after his grandpa passed away. Soon, we all were captivated by her energy, love, and playfulness—and the heartfelt distraction helped us heal. Who doesn’t love gazing into the gentle face of a Labrador? Recently I read just how special Labradors are. The capability of their noses is astounding. While we humans can sniff out a teaspoon of sugar in our morning coffee, these dogs can detect that same teaspoon in a million-gallon pool of water. Our brains are hard-wired to use 5% of its capacity to detect smells and our canine friends use 35%. As a routine ferry passenger, I’ve watched special service dogs and their handlers proceed up and down the rows of waiting cars—on the alert for explosive devices. While I call them bomb dogs, they are officially referred to as explosive detection canines (EDCs), and include breeds like Shepherds too.